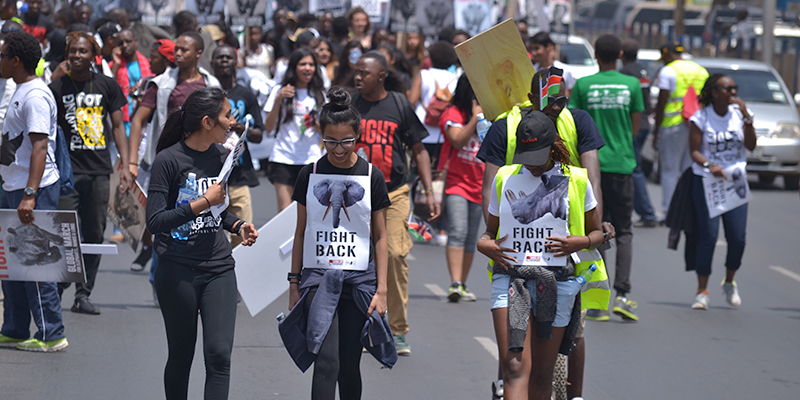 In July 2013, WildlifeDirect launched the campaign Hands Off Our Elephants, partnering with civil society, corporations, government agencies and other conservation organizations in a unified approach towards ending the poaching crisis in Kenya. Her Excellency Margaret Kenyatta, the First Lady of the Republic of Kenya, is a patron of the campaign. 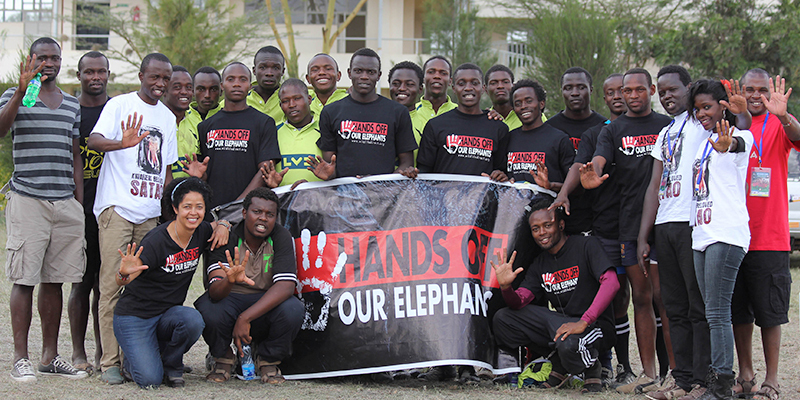 Hands Off Our Elephants has successfully generated unprecedented public and political awareness and support for wildlife conservation in Kenya. Since its inception, elephant and rhino poaching in Kenya has declined by 80% and 90% respectively. Hands Off Our Elephants was launched in response to the rapid escalation of elephant and rhino poaching, and government failure to acknowledge and deal with the crisis. While Kenya has traditionally been in the forefront of wildlife conservation in Africa, by 2012, ineffective laws and inadequate anti-poaching efforts all threatened Kenya’s spectacular wildlife. The most severe financial penalty for convicted poachers was Ksh 40,000 (USD $400), and fewer than 4% of convicted offenders were going to jail. To poachers and wildlife traffickers, Kenya was a safe haven. Additionally, in 2014, President Uhuru Kenyatta signed in a new law which prescribed the most severe penalties for wildlife crime in the world, allocated an additional Ksh 2 billion (USD $20 million) for anti-poaching activities and 577 newly trained rangers were deployed. The President made headlines across the globe when he burned 15 tons of ivory on World Wildlife Day in 2014, the world’s biggest ever ivory destruction event. Hands Off Our Elephants has forged a broad-based alliance for wildlife conservation that is unprecedented in an African context. The campaign to achieve justice in Kenyan courts has enlisted support from Kenya Wildlife Service, the Ministry of Environment and Natural Resources, the Chief Justice and his judicial officers and the Office of the Director of Public Prosecutions. Innovative partnerships have been developed with major players in the Kenyan corporate sector, including national and regional media groups, Kenya Airways, Distell North East Africa, Nakumatt Holdings, Safarilink Aviation, Co-operative Bank of Kenya, Banda School, Brookhouse School. Celebrity supporters have included supermodel Ajuma, hip hop artist Juliani, and the dance group Platinum.